CherrySue, Doin' the Do: Cherry Pick of the Week ~ The Body Shop Banana Shampoo & Conditioner! 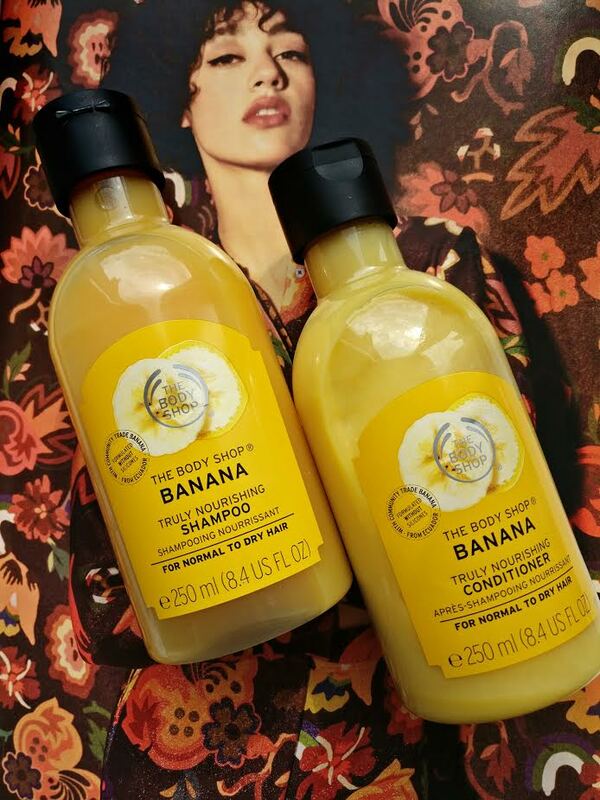 Cherry Pick of the Week ~ The Body Shop Banana Shampoo & Conditioner! Let's try a little something different, shall we? A return of Cherry Pick of the Week (this time with a product or service that's seriously impressed that week). While I will continue to micro blog beauty news & reviews on Instagram, Facebook, Snapchat & Twitter, I feel a dedicated return of beauty to the blog might be worthwhile too, and what better product to kick us off than another return? This time it's The Body Shop Banana Shampoo & Conditioner! Making a triumphant return from the early 2000's, that took a while, right? This deliciously nourishing duo are back, and it looks like they're set to stay. Not only am I thrilled but banana mad, Aaron let out a little whelp when he smelled it too, I used to use this on him as a babe to give his little blonde bowl haircut shine & nourishment like no other. He was (and is) ADORABLE. That memory is also why he's crazy about the Imperial Leather Foamy Banana Shower Gel, not that I blame him. Enriched with Ecuadorian banana puree (which is exactly what it looks & feels like) and Ethiopian Community Trade Honey, Banana Shampoo & Conditioner have my hair feeling instantly moisturised, tangle free and looking decidedly shiny. It also appears to bring out my natural highlights, which is probably more to do with the shine. Not so much Aaron's natural highlights as he's now a rocking midnight blue quiff, though he's no less adorable. You might have noticed from other platforms that I've recently chopped the majority of my grúaig, which has resulted in more fly-aways than usual, this sweet pairing has put paid to that. My hair looks & feels healthier than it has in years, and while that is down to the new do too, it's also thanks to the banana & honey goodness of these truly nourishing hair heroes. You'll pick both up in store or online HERE from €4. 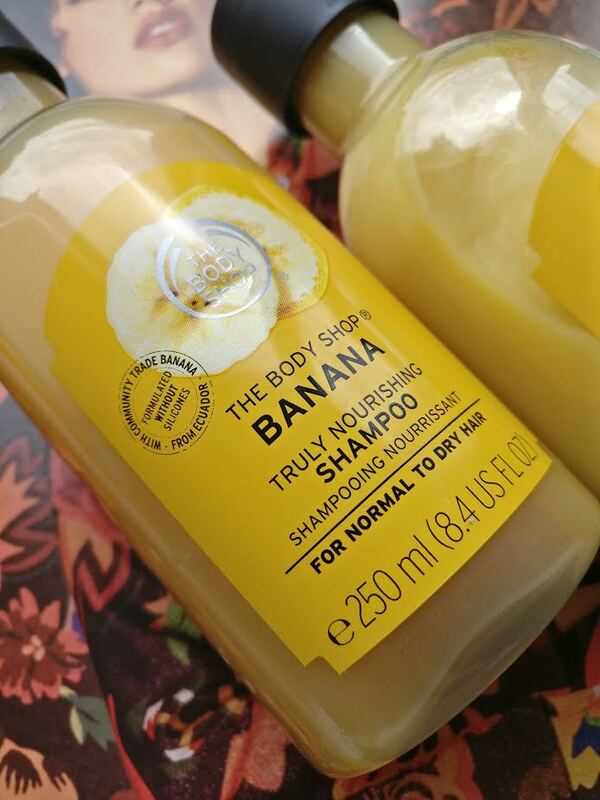 Were you a Body Shop Banana Shampoo & Conditioner fan back in the day? Happy to see it return?